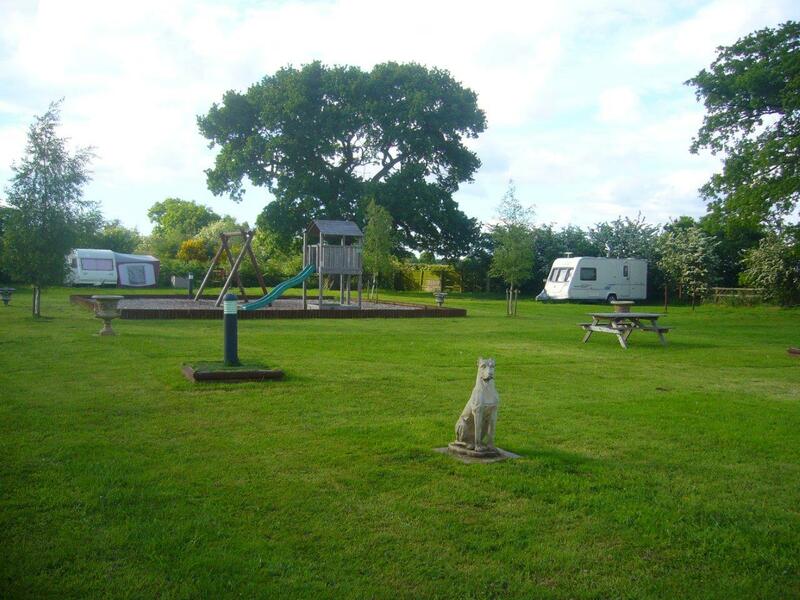 Green Lane Farm is 350 yards off the main A41 between Whitchurch and Newport, Shropshire. From the south – M54 junction 3 take A41 sign posted Whitchurch, after approx 20 miles you will pass the RAF base at Tern Hill, continue for another 5 miles passing through the small village of Sandford which is at the end of a dual carriageway. You will see a left turn for Prees on a sharp bend, do not take this turn, carry on the A41 for ½ mile passing a small car sales garage on the left, turn left by the side of the garage, over crossroads and Green Lane Farm is 250yds on right. If you miss the turning after garage, take the next left and then right at crossroads. From the north – Whitchurch take the A41 towards Wolverhampton and Newport, at the Raven Inn island where the A41 meets the A49, continue on A41 towards Wolverhampton, after 2.1 miles turn right after Manor House Lane. This right turn used to be the A442 but is now signposted Hodnet, Wem (B5065). There is also a sign for Green Lane Farm just before the Hodnet sign which shows Prees and Marchamley. Once you have turned right you will reach a crossroads after 150yrds, turn right again and we are on the right. From Whitchurch if you pass through the village of Sandford you have gone too far. 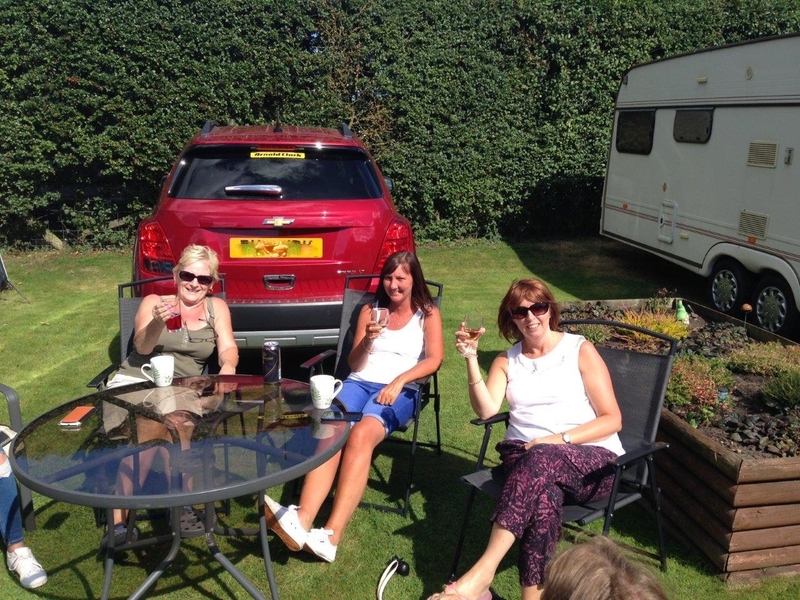 All quotes courtesy of the UK Campsites website. I booked this as a last minute bank holiday weekend getaway for our family of four. What a lucky find. Most of the people on site were seasonal pitchers, but were all so welcoming; I can safely say that it is one of the friendliest sites that we have ever visited. 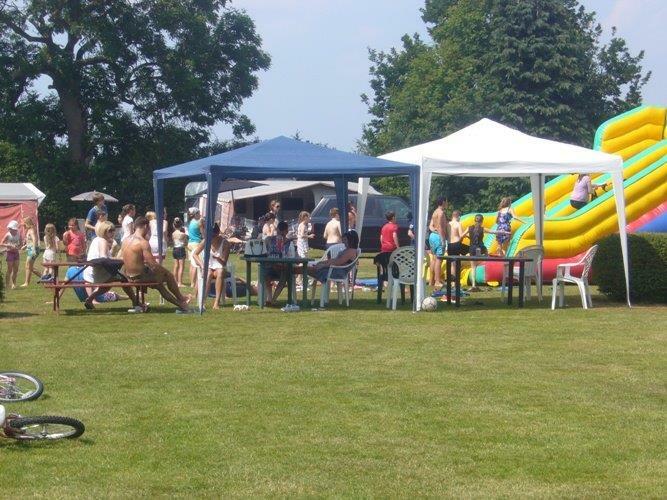 It is well kept, always clean and has just enough facilities to keep the kids entertained too. Superb value for money. We had a wonderfully relaxing weekend and will definitely visit again. We just spent the weekend at green lane farm with our four children aged 7, 5, 19 moths, 5 months. We found the owners very friendly and helpful. 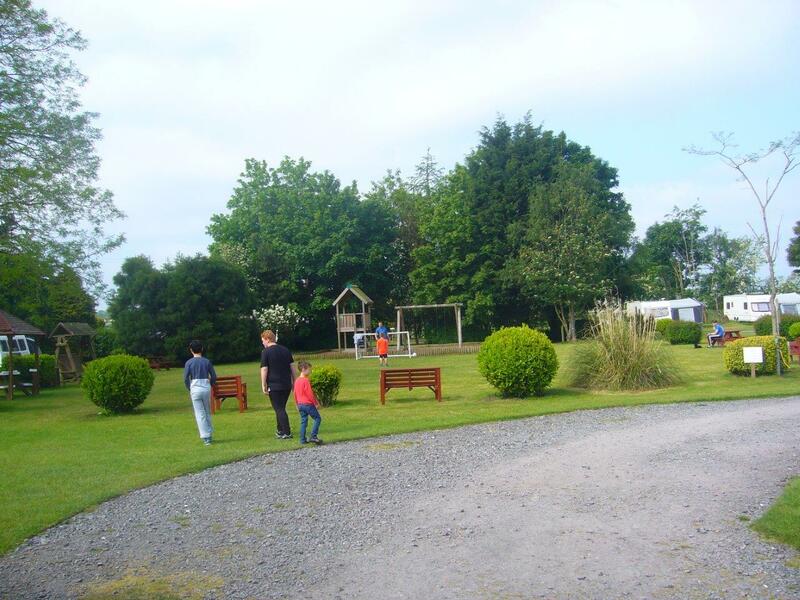 Our caravan was situated opposite the play area which was really good as we could relax and watch kids play. The toilet and shower facilities were lovely and clean, and there was a washing up facility that had free hot water. We really enjoyed our stay and will definitely be returning! Booked this site for a weekend away and we live about 30 minutes drive away, really nice set out site with a kids area in the middle. Little football pitch as well which I'm sure adult will enjoy to. On arrival pitched where we wanted and went and found the owner who was friendly and helpful. 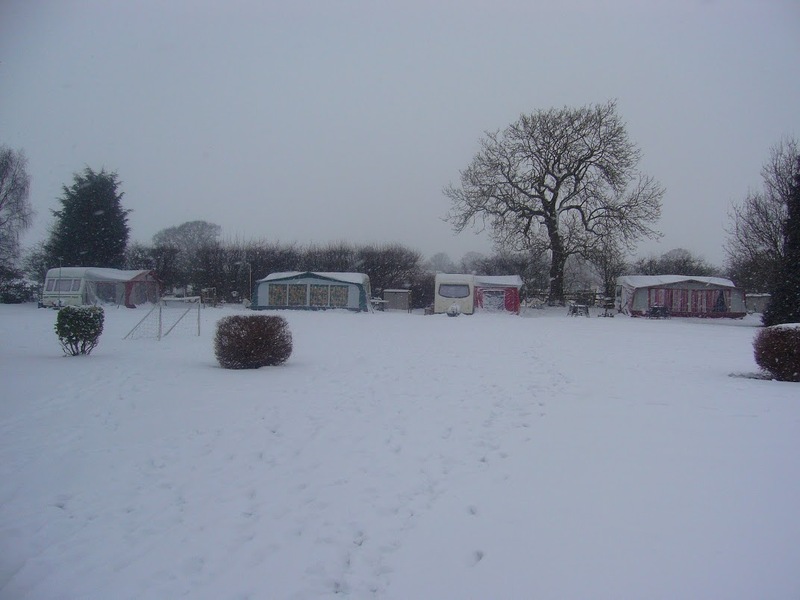 As it was wet and in September the site was quiet apart from what looked like a couple of long term caravans. Our 3 year old loved the play area and space to run around in. The toilet/ shower block looked new but were immaculate and cleaned regularly, really good as it was so wet. Local town is Whitchurch which is a lovely and old quaint town with a tesco in, highly recommended to visit. The only slight point to note is its 6amp hookup so you can use a tv but will not a normal kettle. We will definitely use again as it was so nice and local to us for a weekend away from home! We chose this site as we had children with us and it is perfect for them. Good play areas and space to run around. They made friends with the other children there and really enjoyed themselves. Pitch sizes were ok and had hook up. The toilets and showers were very clean and modern. There are plenty of places to visit nearby, we went to the ice cream farm at Tattenhall which was only 30 mins away. This is a very child friendly site that we would return to with our children. Came here again and had another brilliant stay, we stayed for two weeks and thoroughly enjoyed it We can't fault it; It is good value for money, the facilities are always clean and tidy and they are very modern and there is plenty to do in the area. Everyone on the site is friendly. We will be returning next again. We have just returned from a night at Green Lane Farm. 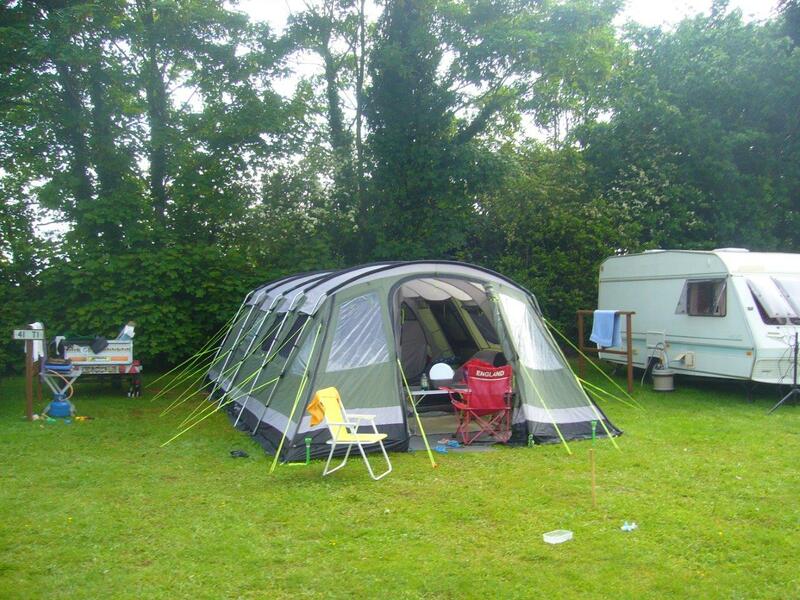 It is a lovely site with generous pitches and plenty of space for the kids to run around. The facilities were clean and everything seemed to work. There are two playgrounds for the children and they quickly made friends. Prees, where there are local shops, is a couple of minutes away and there are supermarkets at Whitchurch. 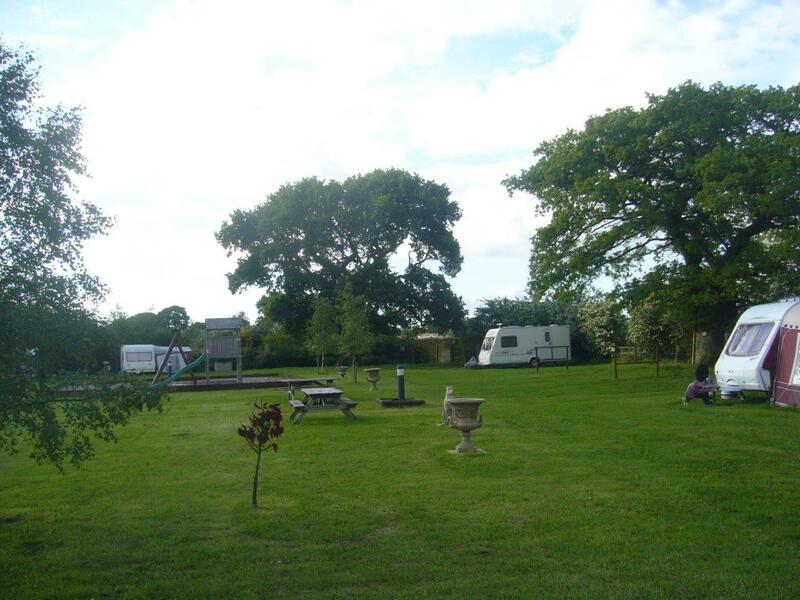 It is ideally placed to explore north Shropshire. Excellent price and simply cannot fault it. 'What can I say the best camp site I have ever stayed in. The grounds are like a golf green the grass in cut short. The play area for kids is brilliant. The toilet and showers are better than the ones in my own home. I'm staying again for 3 weeks on june the 3rd cant wait.